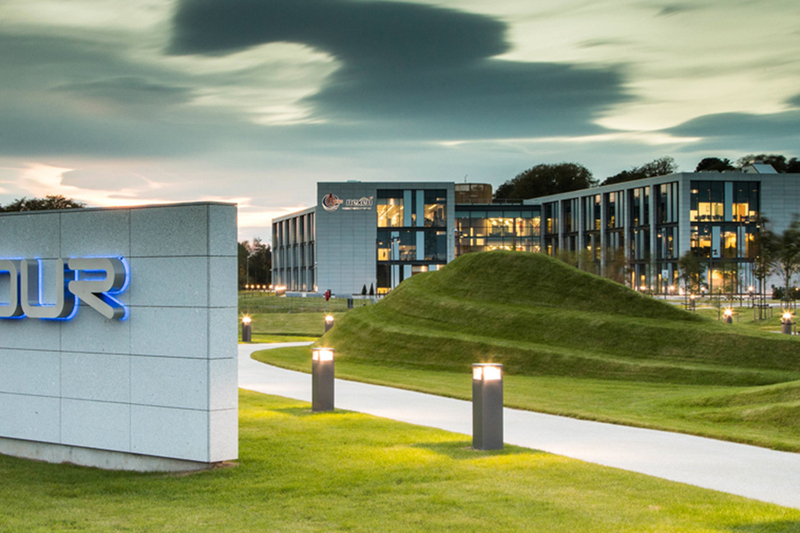 The project involved the design and construction of the Nexen Headquarters and was the first in a series of projects at the new Prime Four Business Park in Aberdeen. The Nexen Headquarters is a three storey office building with a gross floor area of over 11,000m2and provides the focal point of the main entrance to the development. In addition to the three storey office building, the plot also contains a separate energy centre and a two storey car park for 320 cars. Fairhurst provided a comprehensive service on all aspects of the project, including Geotechnical and Environmental services, alongside the principal role as Civil and Structural engineer. Significant enabling details were developed by Fairhurst to de-water the site before an earthworks strategy was prepared to remove areas of peat and replace with structural fill. Due to an area of the site having historically been used as a landfill, a piled solution, complete with a spanning ground floor slab and ground beams, was developed for the car park. Services diversions for two critical Scottish Water assets, a 525mm diameter combined sewer and 600mm diameter trunk water main, were designed to avoid the footprint of the office. The building was designed to achieve a BREEAM “Very Good” rating.